ASVIO BANK, Kiev, Ukraine | Official website, details, phone - АТ "АСВІО БАНК"
JSC "ASVIO Bank" is a bank with private capital, which provides a full range of banking products and services in Ukraine for legal entities, individual entrepreneurs, and private clients. The bank offers private banking and cash management services, flexible deposit and loan programs, currency exchange operations, various card products and online payment services. The bank also provides its customers with individual bank safes in Kyiv, depository and brokerage services, securities transactions, etc. A conference hall for business meetings is available in the bank's central office. JSC "ASVIO Bank" was founded in 1991 in Chernihiv, the branches also operate in Kyiv and Kyiv region. Our independence is what sets us apart. As one of the oldest private banks in Ukraine, personally managed by the responsible partners, we also strive to serve our customers as partners, offering them an individual approach. Today ASVIO BANK combines the traditional values of a private bank with progressive business strategies. We provide comprehensive advisory support to our target private and corporate clients. We develop tailor-made solutions to ensure long-term success by providing professional advice and reliable risk management. We offer a wide range of consulting services and other services to successfully solve the financial problems of our clients, both in business and personal finance. ASVIO BANK exists as long as there is an independent Ukrainian state. It requires us to act responsibly. As a result, we strive to adhere to conservative banking standards, avoiding risks as much as possible. During years of successful work we never involved refinancing from the National Bank of Ukraine – even at the most difficult times for the banking sector in the country. You have your own Private banker servicing you directly and capable of offering the most suitable and effective solution in each situation. You don’t pay any extras – opening an account, connecting to the "Client-Bank" electronic banking system and sms-service are provided on a free-of-charge basis. You have direct contact with Treasury of the Bank for fixing individual currency purchase/sale rate while servicing foreign economic contracts and conducting large-scale conversion transactions (the Bank only receives a fixed fee). You don’t waste time: payments including via SWIFT are sent in 5-10 minutes along with ensuring 100% Internet banking security. You are provided with the best conditions of using individual safe deposit boxes in Kyiv. SUPPORT OF FOREIGN ECONOMIC TRANSACTIONS. Interested in a 100% guarantee of safe custody of cash, jewellery, confidential documents or other valuables? ASVIO BANK offers the best conditions of leasing individual safe deposit boxes in Kyiv at the security level V vault located at 19, Druzhby Narodiv blvd. As practice shows, impressions from ASVIO BANK almost always exceed expectations of our future customers. 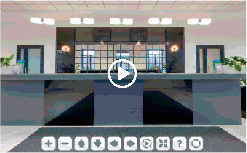 Please, go on our interactive 3D-tour and visit us to meet the staff of the Bank and to learn more about our professional advantages in person. Roman Yaroshenko – shareholder, Viacheslav Suprunenko – major shareholder, Andrii Zaiets – shareholder, Maryna Zmazhenko – independent member, Inesa Solovyova – independent member, Vladyslav Novikov - independent member.